The loss of teeth can lead to impaired function and appearance. While traditional dentures have long been a reliable fix for those in need of replacement teeth, dental implants have become a reliable standard. Dr. Stephen A. Morgan and his team at Houma Family Dental provide high-quality dental implants and restorations in Houma, whether you need to replace one tooth, multiple teeth, or whole rows. 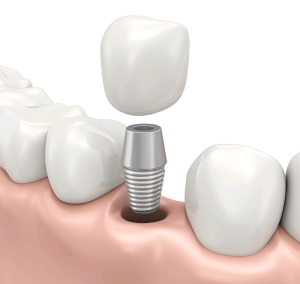 Dental implants consist of three main parts: the titanium implant, which replaces your original tooth root and serves as a post; the abutment that connects your implant post and replacement tooth; and finally, your custom restoration. This final portion is made from sturdy materials that allow you to chew normally and resemble natural teeth as much as possible.Without teeth, the jawbone loses strength and form, which alters the overall appearance of your face. Dental implants bond with your gum tissue and, along with the restorations, helps maintain the health, function, and appearance of your smile. At our dental office in Houma, we are able to both place and restore dental implants. We work with a trusted local lab to make our crowns. Our restorations are crafted with porcelain, a durable and highly stain-resistant material that resembles natural teeth. 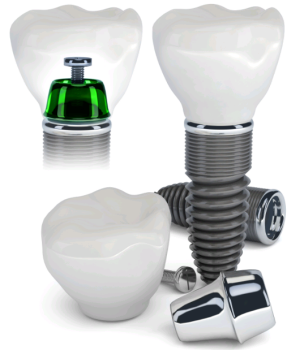 Why Choose Dental Implants Over Traditional Options? Dental implants help preserve the structure and function of your teeth. Traditional choices include non-implant supported dentures, which allow you to chew food but at the potential expense of your comfort. These dentures are held in place with a special adhesive which can dissolve. Once loose, dentures can impact both your speech and chewing function, which affects your daily living. Unlike implant-supported dentures, which are designed to be permanent, the traditional variety will need to be replaced wear and tear make them unfit in your smile. Like natural teeth, restorations supported by dental implants allow you to smile and live comfortably. A healthy, solid smile more often than not goes hand in hand with solid physical health. If you need to replace missing teeth and would like to smile confidently again, call Houma Family Dental to schedule an appointment with Dr. Morgan today. We work with you to craft a smile that fills you with confidence and restores your health.